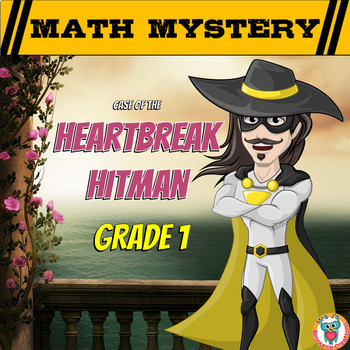 Valentine's Day Math Mystery Activity: Case Of The Heartbreak Hitman. 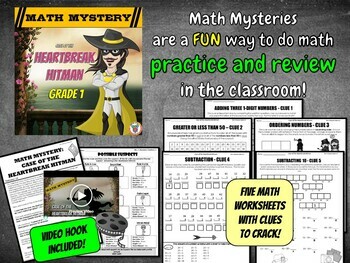 Engage and motivate your Grade 1 students while they use a variety of skills in these NO PREP worksheets to help solve a crime! 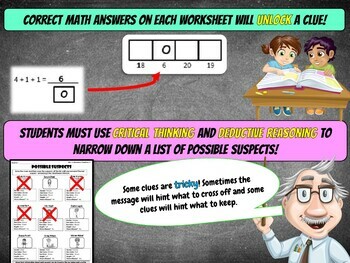 - Possible Suspects List - that students will use as they work through each math clue worksheet. 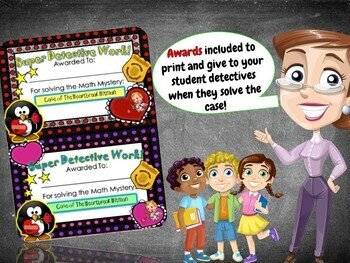 - Printable awards to give to students who solve the case by discovering who the Heartbreak Hitman is. Click on the little green star to follow my store for more upcoming products and freebies!